Now here is a weight bench for a serious weight-lifting experience. 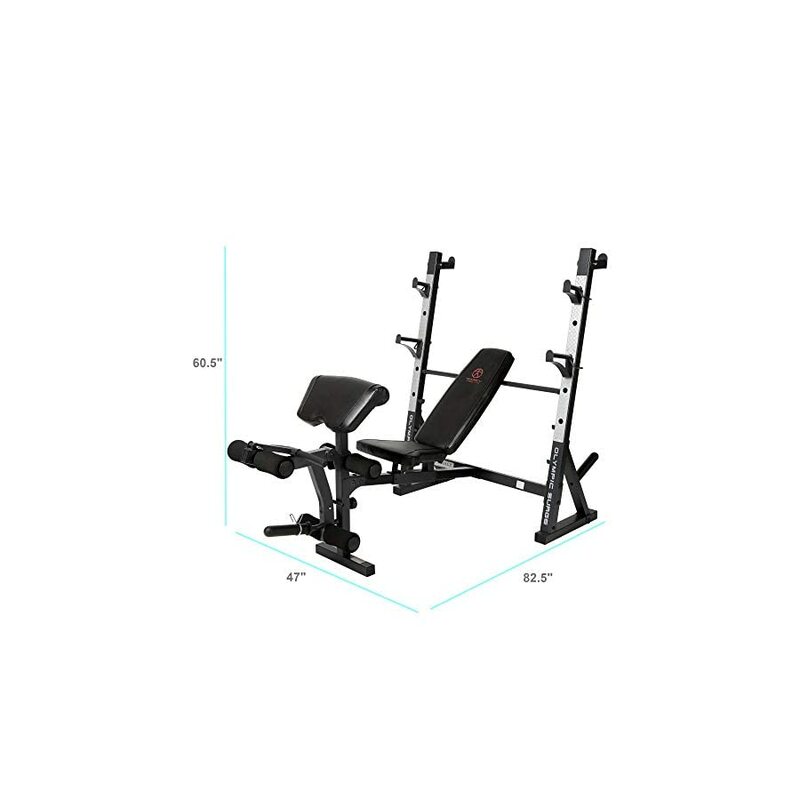 If you have reached the next level of strength training and you want to reward yourself with a piece of equipment that will meet all your weightlifting needs and goals the Marcy Olympic Weight Bench is what your home gym actually needs. 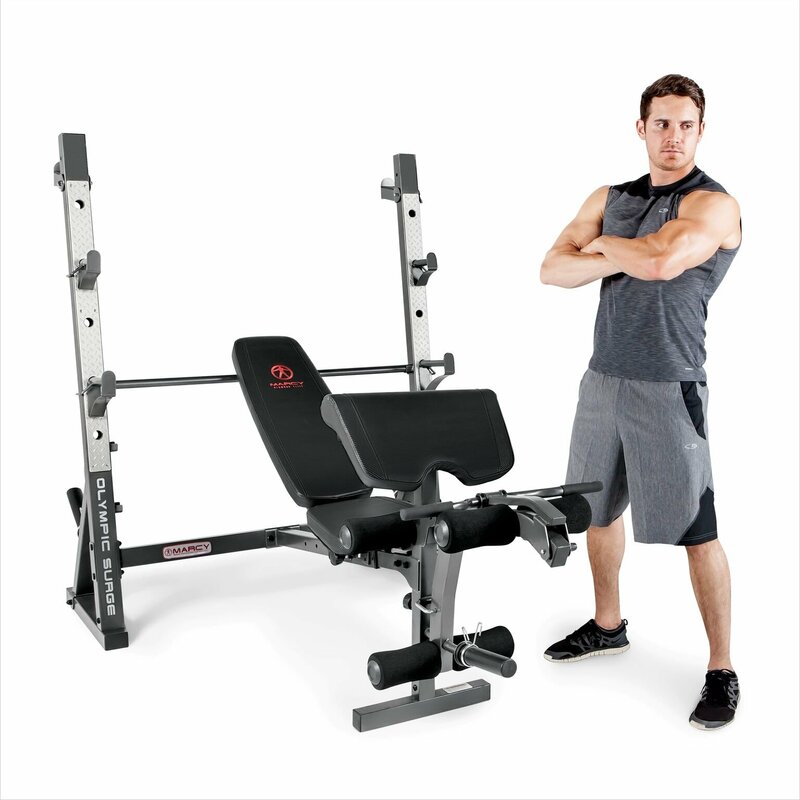 If you are looking for a complete total body workout station, then the Marcy Olympic weight bench will provide everything you need for your strength training routine. 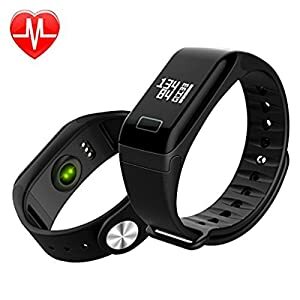 This piece of equipment is unlike any other on the market, in the fact that it features dozens of bells and whistles while keeping the same affordable price as other models that offer less than half of the options. 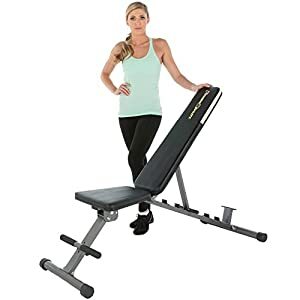 If you want a fully adjustable bench that comes together with weight racks for your barbell, and therefore provides an unparalleled experience when it comes to doing the bench and shoulder presses, this model is definitely one of the best to consider. 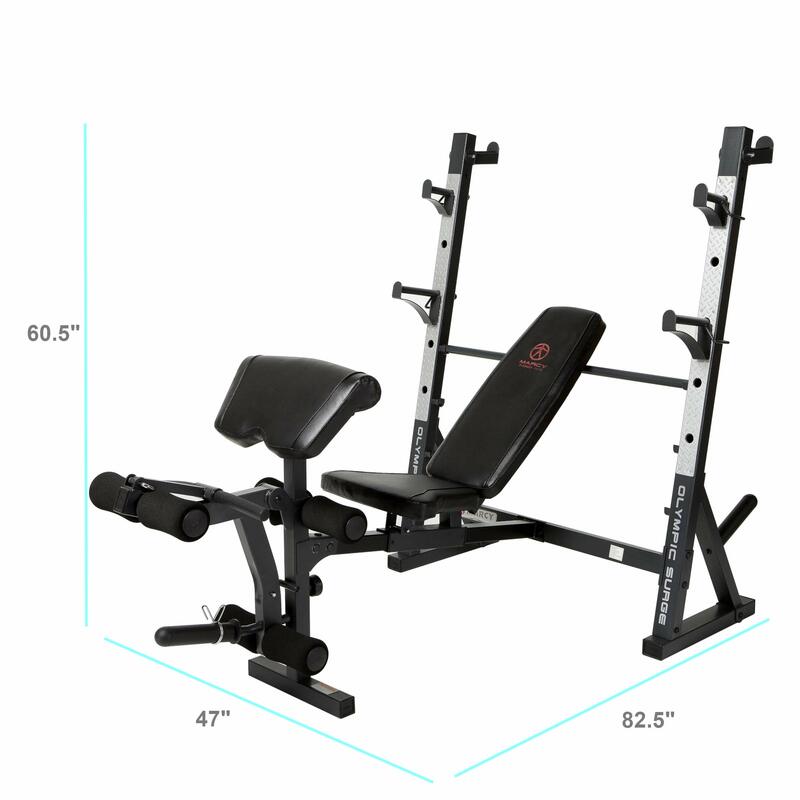 It is very stable, durable, and easy to adjust, and fits perfectly in your home, or even a small commercial gym. 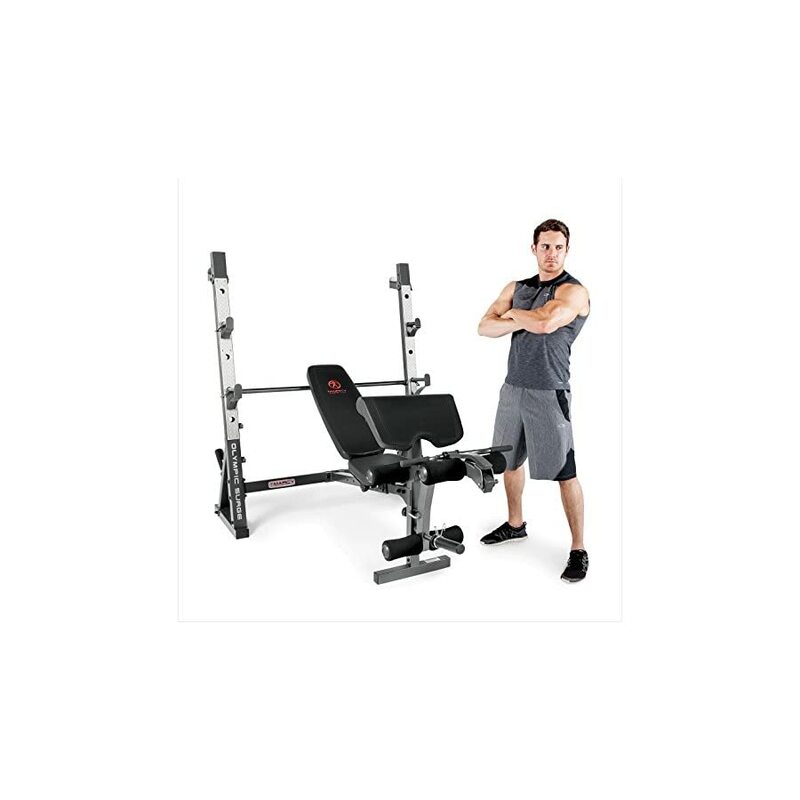 The Marcy Olympic Weight Bench comes with a sold durable steel frame to provide a sturdy piece of equipment for safe and long-lasting use. 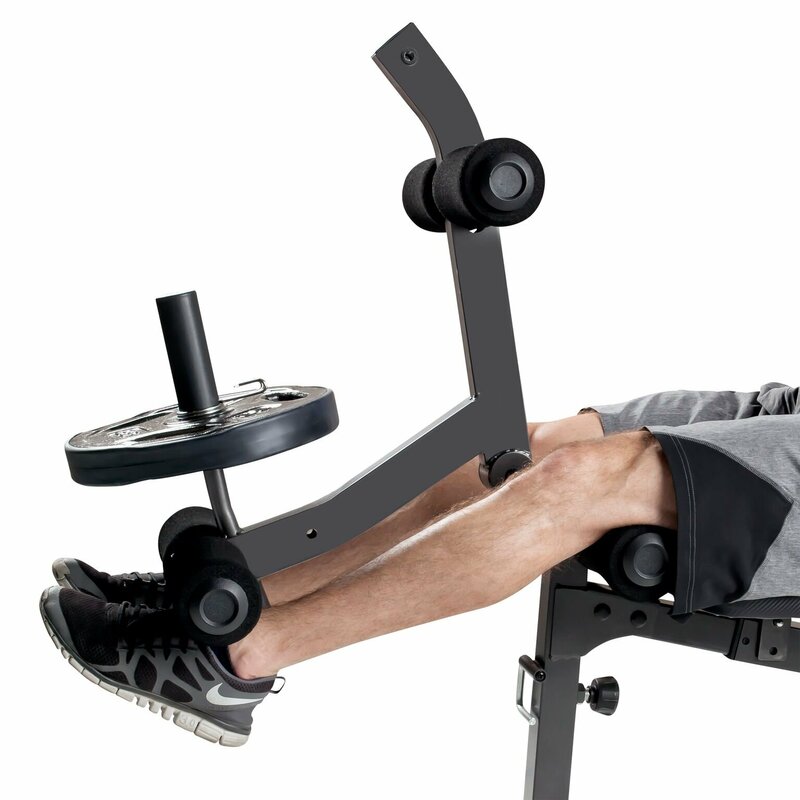 The surge bench is made of vinyl and foam to make your workout extra comfortable and free of balance concerns. It has a compact structure that ensures stability and optimal support for daily and even heavy use. 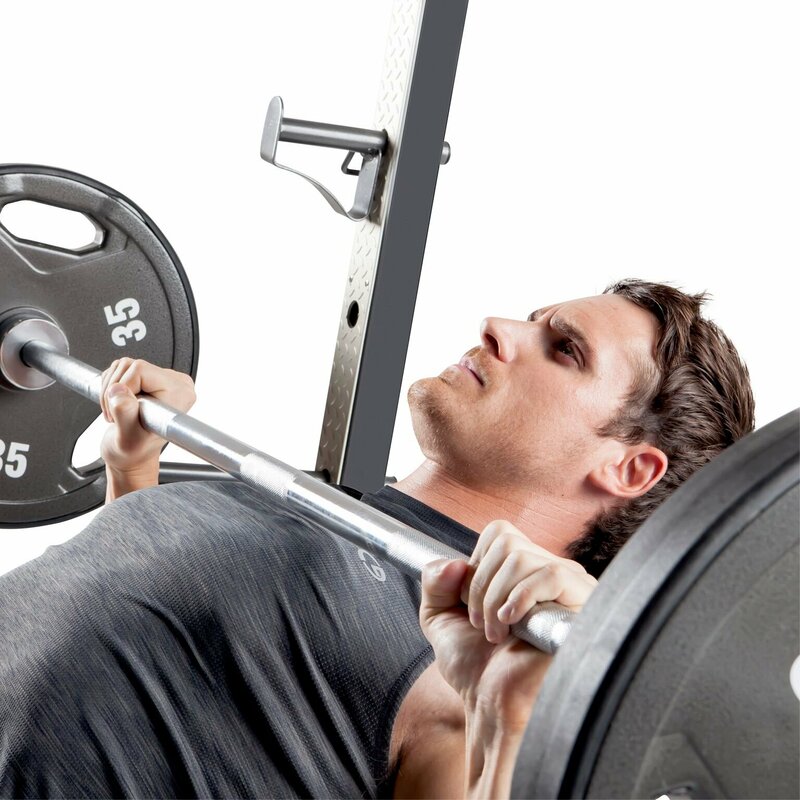 The Marcy Olympic weight bench will endure commercial use as well, and the dense padding won’t compromise its depth and flatness for years to come. 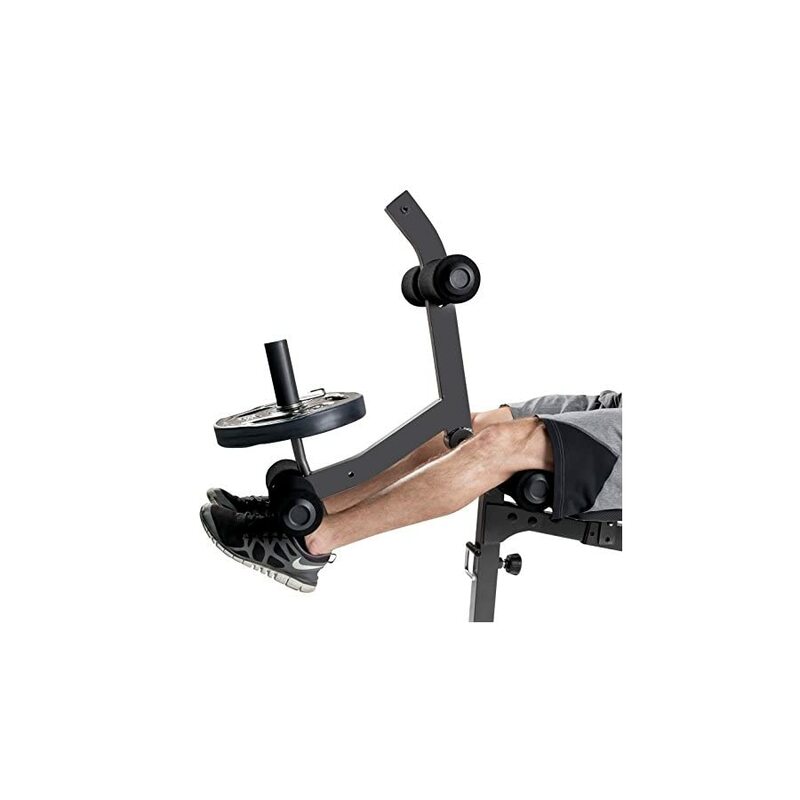 The Marcy Olympic Weight Bench features a pivot point that lines up with the knee joints and a locking mechanism for ab exercises. These features are essential for proper posture and stability when working out and maximize the effect on the muscle groups being targeted. 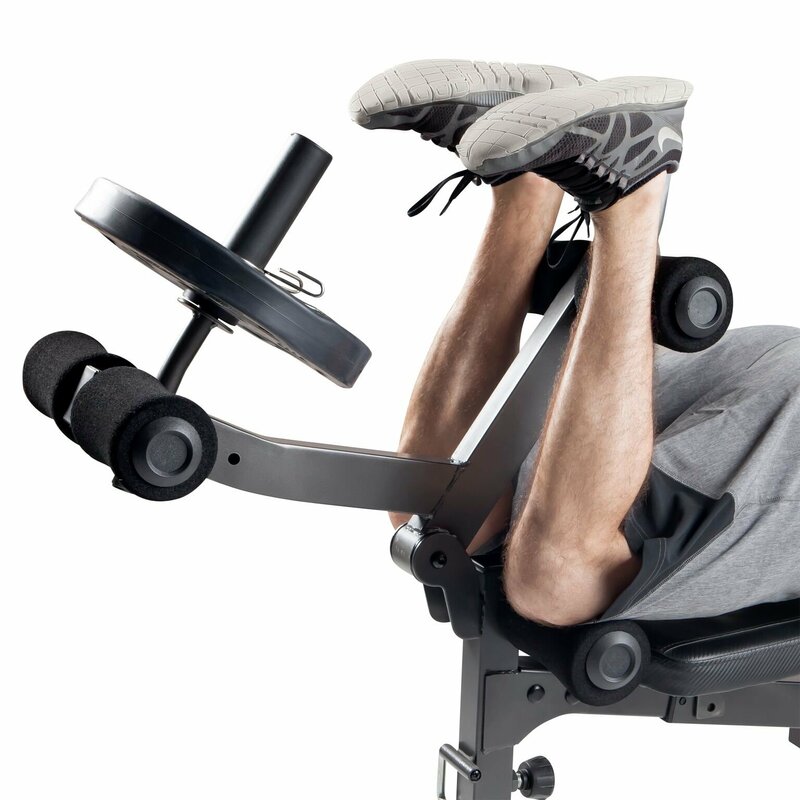 The seat is adjustable and can be moved along a sliding track to allow for different lifting positions. 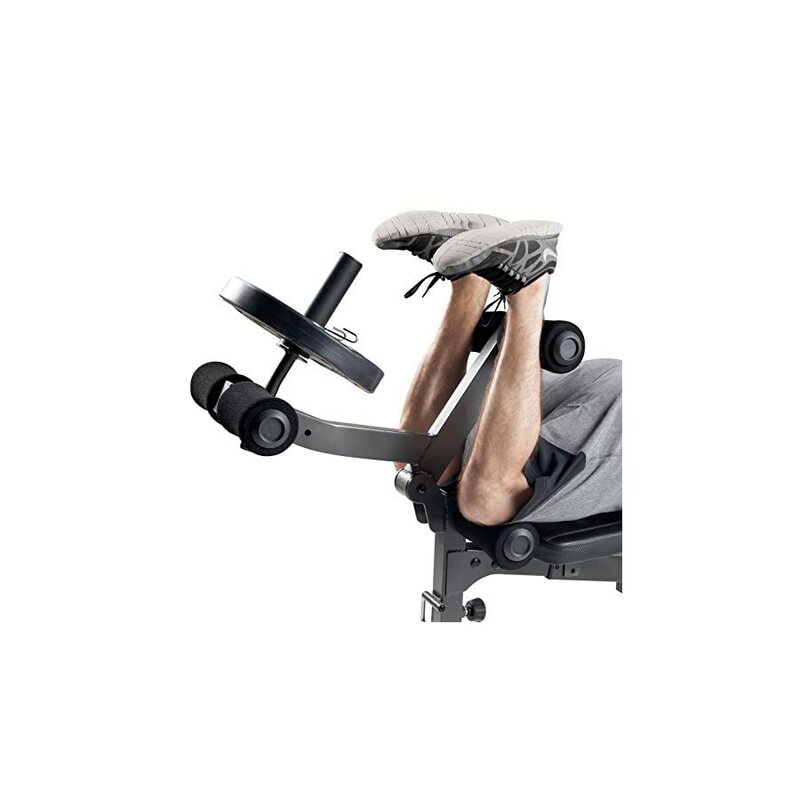 This feature allows for proper body alignment and positioning while exercising which is essential for fat progression and better results. 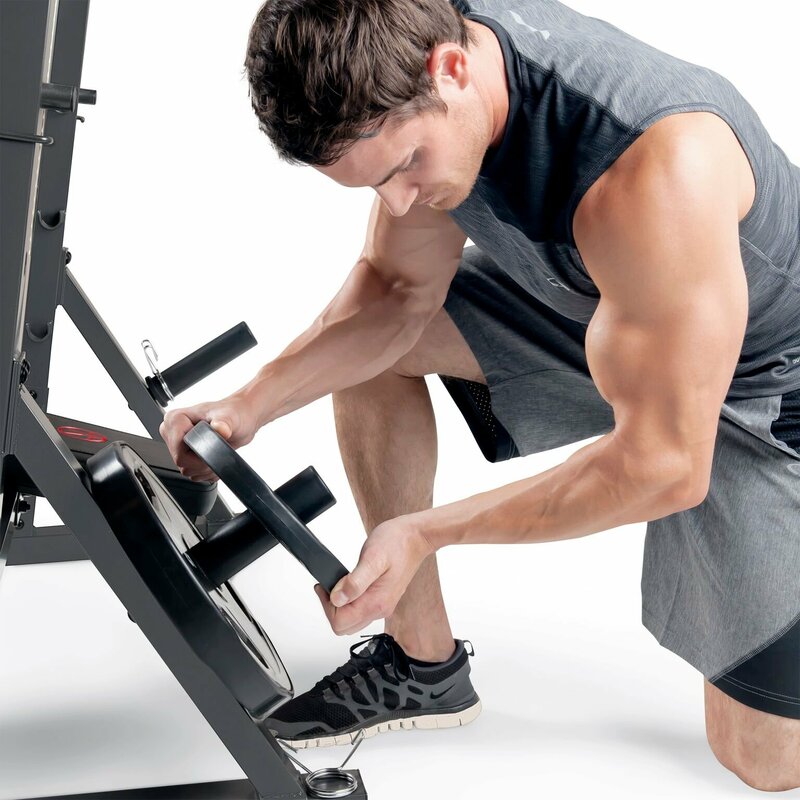 If you have frequented gyms often enough, you already know that the Marcy Olympic Weight Bench is the only work station you’ll ever need for muscle structuring and strength training. 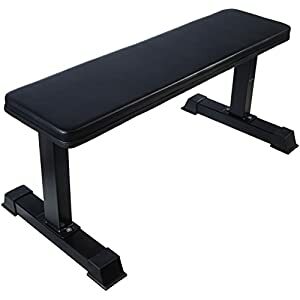 This surge bench can be used for focused and isolated arm, leg, chest and core exercises. 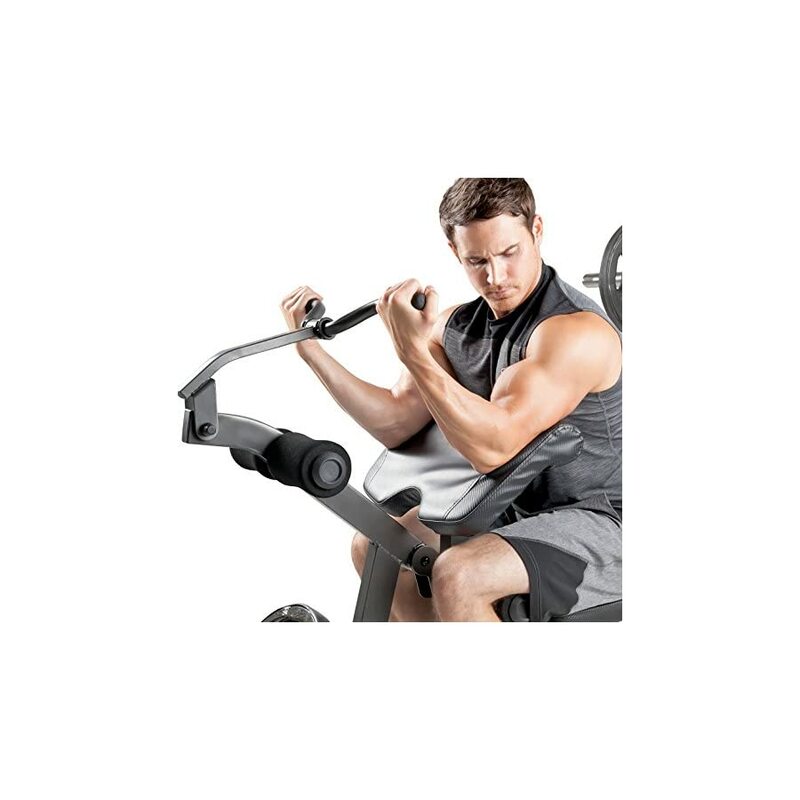 It also allows you to target multiple muscle groups and perform a wide array of weight-lifting exercises. 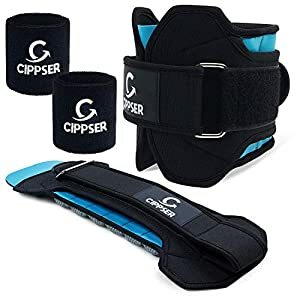 You can work on you biceps, triceps, your chest, your abs, your glutes, hamstrings, and your back, as well as your shoulders while utilizing the shoulder press position thanks to the positioning of the bench and the barbell rack. 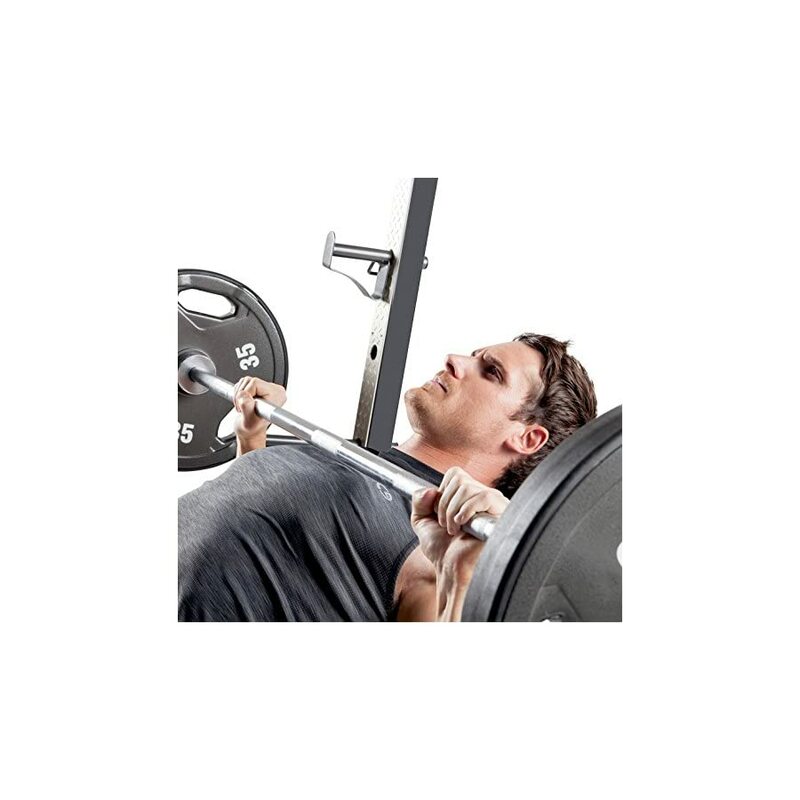 When assembled, the Marcy Olympic Weight Bench for full-body workout weighs 110lbs and measures 79.9 x 47.2 x 63.8 inches. 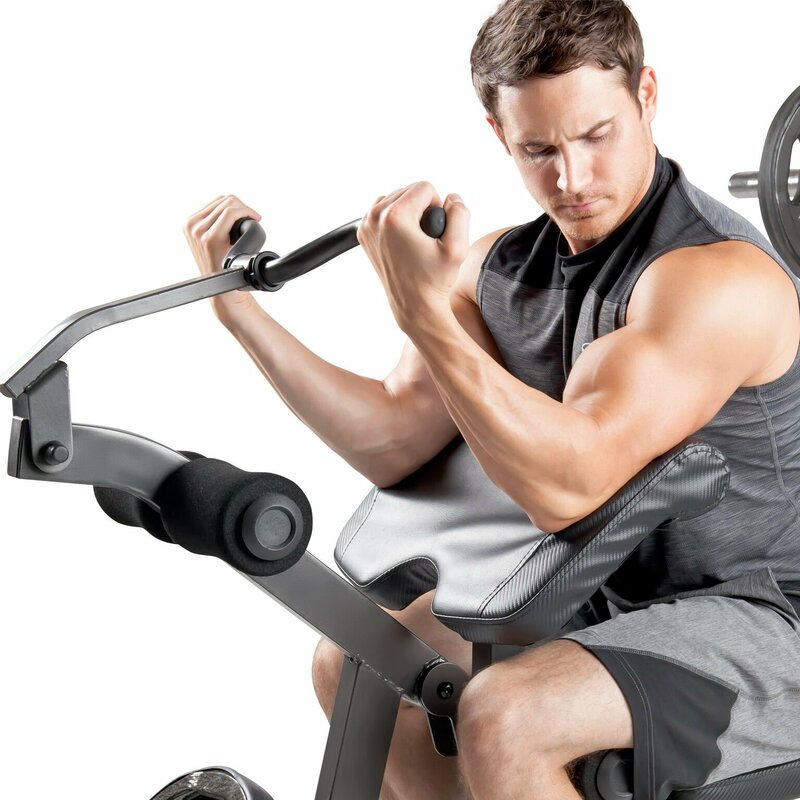 It may not be the easiest piece of equipment to move around and might require allocation of more space, but hey, it is a solid weight-lifting station and a gym in itself. I suspect that you’ll be setting it up one time only. Despite its rather “intimidating” appearance, it assembles quickly and easily, but you might want to spare half an hour to get the job right. 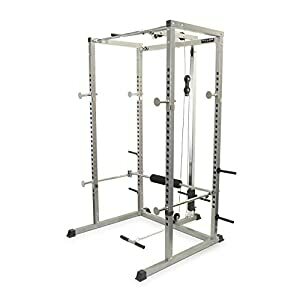 The Valor Fitness BD-7 Power Rack with a lat pull-down attachment is perhaps the most complete weight training station that you can install in your home gym or garage. 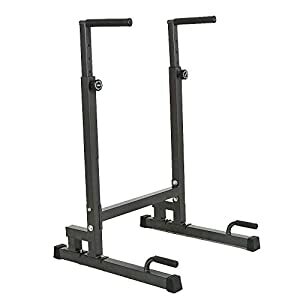 It is very sturdy and stable, and durable enough to be used in small or larger commercial gyms as well.